Download the map and put it at the root level in the Duke Forces folder to replace the other of the same name. There was a clip shape, but it wasn't tall enough. I made it taller and added a slope to better reflect the shape of the model. It will still block between the legs, though. I may add contact damage, but not at this time. And - at the end of the speeder run, maybe make the mountain side of the track blockable as well - me being me, reached the end of the track, turned the vehicle around to run the track in the reverse direction, noticed a slope, thought it'd be cool to see the 4x4 capabilities of a speeder, went straight up the side of the mountain at full speed and launched into a low trajectory orbit before getting squished. reached the end of the track, turned the vehicle around to run the track in the reverse direction, noticed a slope, thought it'd be cool to see the 4x4 capabilities of a speeder, went straight up the side of the mountain at full speed and launched into a low trajectory orbit before getting squished. And that's a bad thing? If you want to play around with the speeder on jumps, try loading up dukebike2.map from the maps folder. 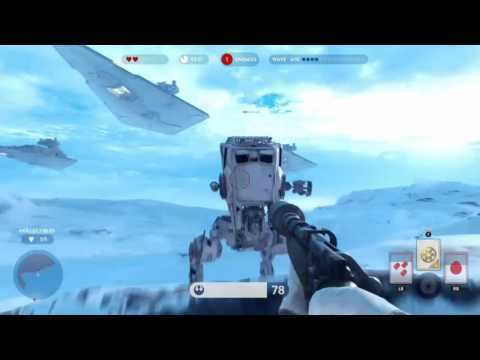 You will need to place a speeder in the map first (tile 6435) or bring up the console in game and type "spawn theebike"
actually I thought it was pretty funny. i also managed to 'decapitate' myself going off a ramp and hitting that crane platform. The shotgun is useful - especially against those damned tie-fighters. Any plans to re-skin it as the CA-87? Yes, it is very useful against the TIE fighters. Alt-fire on the concussion was my go-to weapon previously, but shotgun is now best. If I add any more weapons, they will be different -- I don't want to put in a new weapon just to make it behave exactly like the shotgun. 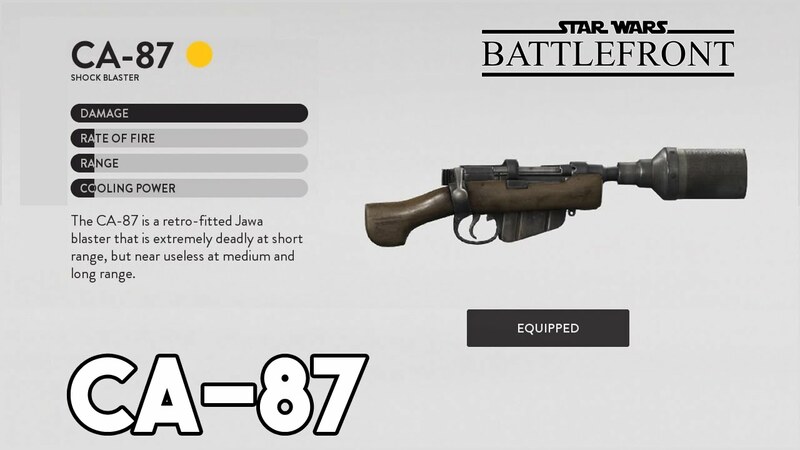 It's not really canon since the CA-87 is the star wars (battlefront) shotgun. I asked because I thought I saw an earlier conversation where you were discussing with somebody which model to use for the jawa blaster - if you were to put it in the game. I figured if the work was already mostly done - this is where it could be used. They made an idle frame for it, which is a big step. I would prefer that gun function like the jawa one, where it causes blue lightning to disable a droid or other electronics. I don't want to do it for the current update -- maybe next time. I still hope that some day we will have a set of specially made maps for this TC. A proper episode would be so much better. Situations could be set up to showcase niche weapons and various features, we could have a Bespin level, a lot could be done with new map effects, etc. also technically Dukai is 'broke' because explosive barrels no longer move along conveyors for some reason. The player does, dead bodies do as well. Just not explosive barrels. Probably not the only map in existence like that. I could edit the map itself but I will see about doing it via code so that it applies to all possible maps. Good catch. I would like for explosive barrels to work as intended, even if other options are available in this particular map. I will look into it. also technically Dukai is 'broke' because explosive barrels no longer move along conveyors for some reason. This turned out to be a pretty significant bug, which I just fixed. There are about 30 different tile numbers of sprites, including the exploding barrel and all of the bottles, which are not scripted actors but behave very similarly to scripted actors. Because they are not actors, it was difficult for me to get them to work with the player's force powers. So, I made them all actors and gave them script to mimic their hardcoded behavior. Problem: one of the hardcoded behaviors is moving with conveyer belts, which evidently regular actors don't do. So now I have them becoming regular actors only if there is no conveyer belt SE in their sector. Unfortunately this means that you can't force grab any of those sprites if they are on a conveyer belt. But that seems like a small price to pay. I know there are maps which use that feature heavily. I'm pretty sure that regular actors, such as ammo and weapon sprites, already travel with moving sectors, so that shouldn't be a problem. The issue here is that conveyer belts aren't actually moving -- the movement is an illusion caused by texture panning. Sprites only move on them when coded to. By the way, I uploaded an update before I left for work. I don't know if the previous link will go to that update or not. There is another bug, though, which I didn't catch until after I had uploaded it: some of the sprites will fall when they aren't supposed to. Specifically, you may notice upside down glasses which have fallen onto the bar when they are supposed to be hanging. This is more a fact of aesthetic coherence but I think that when Duke use a force ability when it grips a weapon with the left hand like the blaster rifle it would be logical that he uses the right hand, even the weapon lowering, especially with the weapons that require both hands, should be slightly speeded up. Or make appear the hand a few seconds after the lowering is complete. We might consider to include the Phase 2 darktrooper now, for reasons that are also in favor of the gameplay in custom levels. The phase 3 darktrooper replaces the Battlelord and in a bunch of user maps a Battlelord it's positioned almost at the begin sometimes without a single tripbomb or rocket ammo around but in most of the cases strategically to give a good balance between challange and feasibility, however that situation manageable in vanilla become less fair with the new Duke Forces mechanics (totally happens). Since as far as i know we can't specifically associate a Phase 2 to a mini-battlelord because it is basically a normal downsized we could simply make it an encounter of the Battlelord category so the player will have at least a randomic possibility to fight a "weaker" Phase 2 or a Phase 3. Tried some compatible mappack and episode addons, but anytime I start the SW text wall appear and then the game start at the second map. They must be united by a common factor that cause this. Probably deactivating the opening with the command in the .def can it be solved but some may find it annoying. I don't know if the previous link will go to that update or not. unless you already removed it. When I say that it would be too much work, I want you to understand that it's not just me being lazy. Consider how the weapon loadout could be changed in the future, and how I would have to remember to go back and make the individual adjustments for the different weapons. Right now I have a system that works universally and does not require individual updating. There is a lot of value in that. It reduces the potential for bugs and helps me stay motivated. I'm not very interested in adding the phase 2 trooper. I feel that visually, it is too similar to the phase 3 to be worth adding. While this mod does have a lot of Dark Forces content, I am trying to stick mostly to characters that are recognizeable in the main Star Wars canon, especially episodes 4-6. I had deep reservations about adding the phase 1 trooper for that reason. I mean, the phase 1 just looks like a terminator rip-off. But I added that one because at least visually and in terms of gameplay it was quite different from anything already in the mod. I'm not saying that I will definitely never add the phase 2 trooper, but right now I have no plans to do so. Duke Forces is designed to work with individual vanilla user maps for Duke 3D. But adding an entire episode requires changing the episode script, and unless you do so correctly, it will not work correctly. This objective could be considered achieved already, unless we see the Grell and the Strife thingh as beta placeholders. In that case, a SW eel is the best choice for replace the Strife mutant in my opinion. There is a sprite version of the DNF Energy Leech by Jet_Nick here, it can be a base for the Rishi variant. I guess you could consider those to be placeholders. The only reason they are in the game is that I was forced to add underwater enemies and a slimer type of enemy because of the enemies in Duke 3D. The grell is the best thing I could find that would fit the role of the slimer in vents, and the Strife thing was allowed to stay in the under water areas to replace some of the sharks, because I thought it looked enough like something that could exist in the SW universe, and it was too bland to have only the OSK (not that there is anything wrong with the OSK). That's a good idea! Thanks for pointing me to the sprites. EDIT: Although...looking at the sprites, I don't understand how to make it a complete set. It doesn't seem to have all the necessary angles and frames This is a good example of why something like the Strife monster stays in the game for a long time. In theory, the leech is a much more suitable enemy. But given how hard it will be for me to do that, and how low priority the under water enemies are (you almost never see them anyway) I would much rather work on something higher priority. However, I would not say that the objective of including classic SW content was achieved already. Without going into detail, I would say that the content we have is broad but not very deep. For example, I would like to have both enemies and allies with firing animations facing all directions so that we could have true wars going on -- this would open up new kinds of scenarios and game modes. you already have the wookie, luke, and solo sprite sheets? Thought I seen a vadar and a maul sheet as well. Are you referring to the Super Star Wars series on snes? The next beta I upload will have a new opening text crawl for the new episode (already done), new cutscenes and some other improvements. When I get home tonight I will finish adding force lightning. I resisted adding this feature before, because I hadn't come up with a good way to integrate it into existing gameplay. But with the new episode being titled "Darth Nukem" and Duke taking a journey to the dark side, the time to include it is now. Here is how I envision it working. If you use force choke on enemies, it will build up a lightning meter. When the meter is full, you get full force energy and your force choke/push is replaced by force lightning for a certain amount of time or until you use it a certain amount (whichever comes first). It will be very powerful, but because it is a super and only available occasionally, it will not upset game balance. other than several map-specific texture mis-alignments in moonbase, that have nothing to do with them being replaced (they're mis-aligned in the original as well), there's nothing else to report about this episode. What did you think of the final boss battle? Too easy, too hard, too long, too short? What did you think of the multiples spawning? Did you get the perk at the end? The map is what the player makes of it, and what their fighting style is. It's fairly simple to get and easy victory, or you can make it into a pretty hard fight if that's what you want. One of the things that makes it less difficult that it should be is that those walkers get stuck very easily - thus they are unable to pursue and can pretty much be avoided the entire time. smack it with a saber every time it comes near. Strafe around the perimeter and the center of the map - try to fight and kill everything that moves - or used to move - pretty exciting knock down fight. Thanks for the analysis -- I have never done the fight under normal game conditions. It's too bad about the walkers getting stuck; maybe I will try improving them, but it's not a high priority at the moment. I'm ok with the player using a cheese spot to kill the boss. At least it takes some skill to time his attacks and counter. I may or may not add another phase to the fight; it depends on inspiration and whether some additional art comes through. Beta testers: I just sent you a link with the latest update. Please note that it includes the latest eduke32.exe, which is required. Things to look for: as you accumulate force choke kills, the emperor will take notice and talk to you. It will also charge your force lightning meter, which leads to force lightning. No, I will not be improving the lip-syncing on the emperor animation, so don't ask. But I am concerned about his speeches suddenly cutting out, because I did see that happen once and I don't know if I fixed it. There is now a new opening text for the Darth Nukem episode. I have also made other small changes, too many to list. For example, there was a nasty bug where if you shot at the dead body of a sith, he could become an invincible sith midget who would pursue you to the end of time. I need some new graphics to end the episode to finalize this release. I think I'm going to be commissioning an artist for some of that. for some reason I wasn't collecting force power on kills. don't know why. quit & restart the game - start a new game - no problem. Load the saved game - no problem. Neat little "story" graphic between the first & second level.